Market leaders in outdoor products, Condor are a well-known manufacturer of military goods based in the United States. For over 20 years condor has specialised in the manufacture of outdoor products and now focuses primarily on their military and tactical ranges. Condor products not only represent great quality but also value for money. Their product lines include webbing pouches, harnesses, patrol packs, body armour and more. One of the great features of Condor products is its interchangeability and compatibility. Most of Condor’s range uses the modern MOLLE modular attachment system which means pouches can be quickly interchanged on your webbing or attached to one of the Condor rucksacks. The use of this system also allows Condor products to be compatible with the latest issue kit including Osprey assault systems. It also allows you to build your own systems for your own needs starting with a Condor chest rig or plate carrier then adding pouches and accessories as you wish. 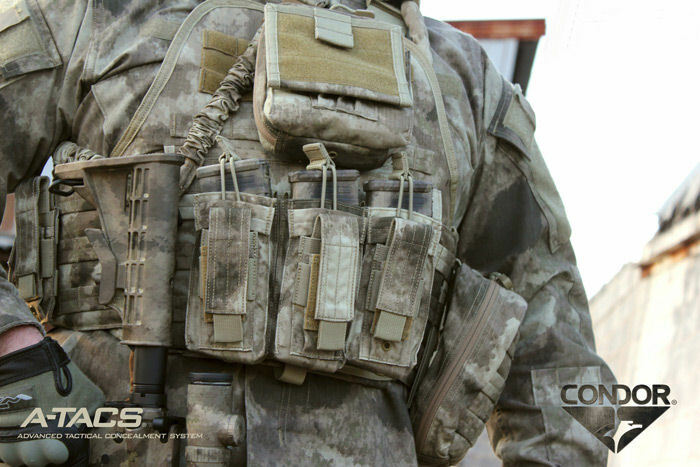 Condor offers a large range of MOLLE pouches all available in genuine Crye-Multicam Cordura which covers everything from ammo pouches to medical pouches. Their ammo pouch range includes single, double and triple configurations with either Velcro fastening or open top and supports a vast range of ammunition types including 5.56mm. This makes it incredibly easy to find what you want when you want. Most of them are also available in black, olive drab and coyote tan. At the heart of Condor’s tactical product line is the 3 day assault pack which gave them the push from making camping equipment to tactical supplies. This product features super tough 1000D constructions and was designed for life on the battlefield. Like all Condor products its MOLLE system made it compatible with all the supporting accessories in the Condor product range. This pack set the benchmark for the elite series of products that followed including the titan and frontier pack which share a lot of the same qualities and design points as the large 3-day assault pack. It isn’t just packs and pouches though, Condor also offer a wide range of other tactical equipment including a wide range of belts, clothing, rifle cases, protective equipment and more. Like the rest of the Condor range all of these products have been through rigorous testing and come in a range of different sizes and colours including genuine precision Crye- Multicam. 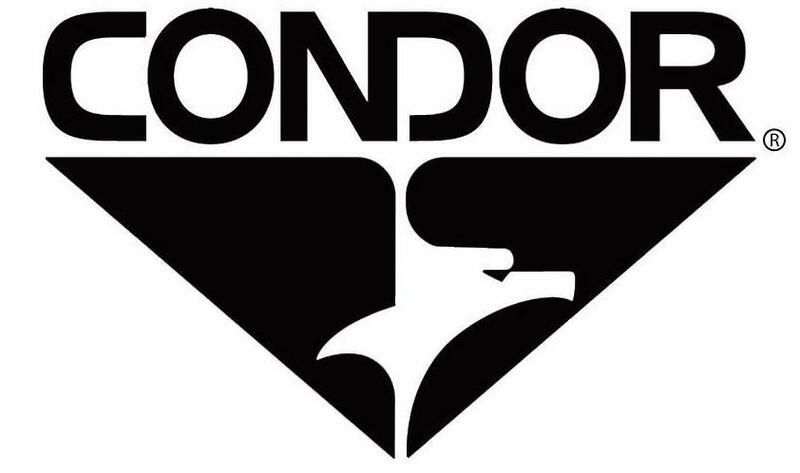 Here at Survival Aids we hold the Condor brand in high regard and you can find their outstanding range of products here. Previous	Spot The Soldier | How observant are you?